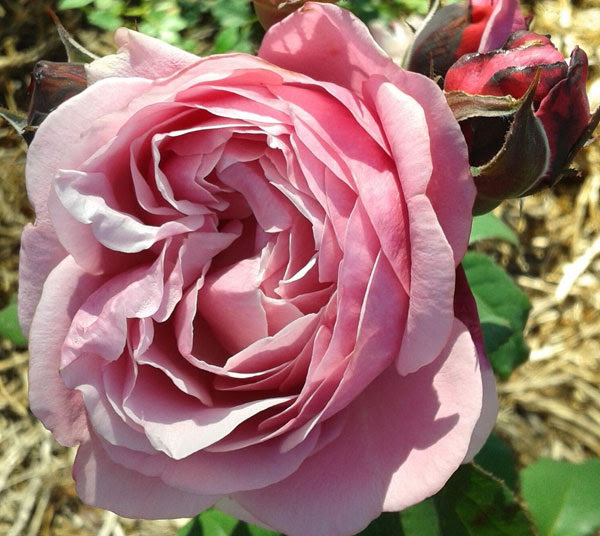 Hello dear rose friends … How lucky are we gardeners? Taking time to ‘switch-off’ from all the busyness to get down and dirty pulling a few weeds, trimming some roses for a vase and yes, mowing the lawn – ah, the smell of a fresh-cut lawn. Mix the products together well and pour or spray over foliage to run-off. When spraying, you can try and avoid spraying the flowers as the products will mark the lighter coloured blooms. During these humid conditions, it would be effective to spray every 10-14 days then as soon as we get some hot, sunny weather, it will burn fungus spores and you can continue the once-a-month regime of spray management! Remember: NEVER SPRAY WHEN TEMPERATURE IS EXPECTED TO EXCEED 30 DEGREES! Because of the rain, blooms might be affected – some end up mushy balls of mould and these MUST be removed! I don’t even like them being left to rot at the base of the rose plant as I believe they are a haven for mildew/mould spores so rake them up and get rid of them in general garbage waste. When you’re out trimming the spent flowers – don’t be shy – cut stems at least 20 – 30 cms in length so that the re-growth is lovely and strong, carries lots of flower heads and you maintain lovely rounded bushes rather than leggy / untidy bushes. Q:If 2’s company and 3’s a crowd, what are 4 and 5?A:9! 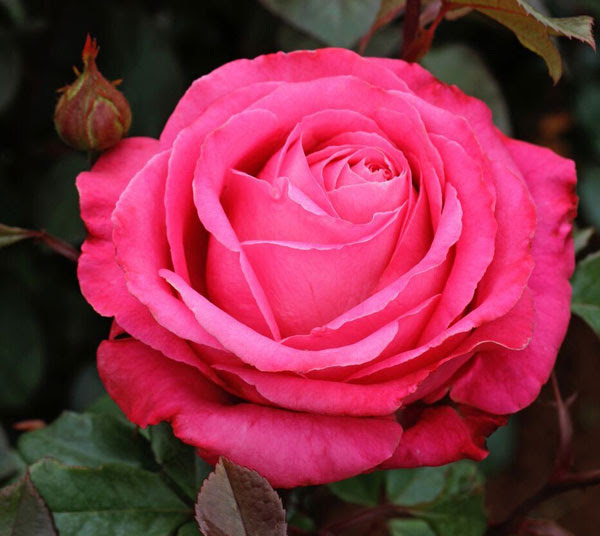 Brilliant brightest dark pink, long-stemmed blooms with slight fragrance are produced on a sturdy, vigorous bush of immense disease resistance – this beautiful rose will impress you by the length of time it lasts in a vase. Just one bush will provide an immense number of long-stemmed blooms each time you want to fill a vase! RHAPSODY IN BLUE is an extremely vigorous, high-health rose to adorn a wall, place in a pillar frame or position at the back of the rose border as a hedge – this magnificently fragrant rose with the most dark purple petals and a showy mass of yellow stamens as a foil for the brilliant glossy mid-green foliage is very highly recommended. SOEUR EMMANUELLE produces an abundance of lilac pink, highly fragrant blooms which are massed with petals and make a beautiful display in a vase. 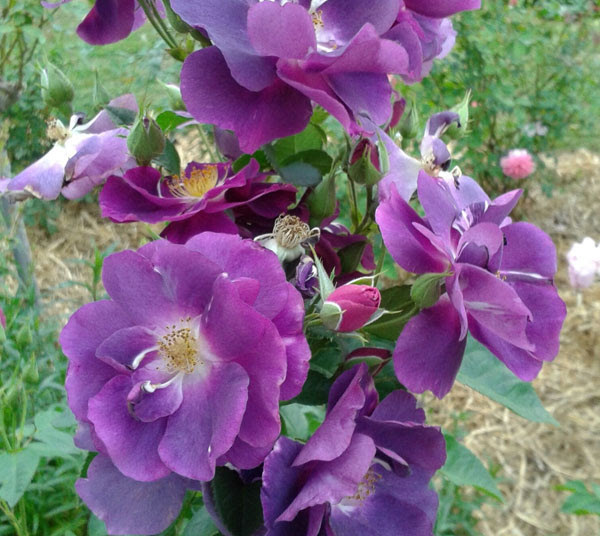 The high-health bush is tall and upright, the foliage dark and healthy – very highly recommended rose! Please don’t leave your shopping until the last minute – our last roses to be posted will be FRIDAY 14TH DECEMBER but please also remember that lots of people leave home at Christmas to go camping/holidaying so why not send them your gift rose NOW so they can tuck it into their garden where it will be safe and survive with a deep-soaking watering of just 20 litres ONCE A WEEK! You can purchase a GIFT VOUCHER at www.rosesalesonline.com.au – for every $50.00 you spend, I’ll gift the recipient an extra $5.00 to spend on their next transaction. When you call in at Silkies Rose Farm you’ll likely meet our dear friend Shelley (and foxy Nelson) who has come to give us a hand – she’s a wizard with roses and loves a chat! 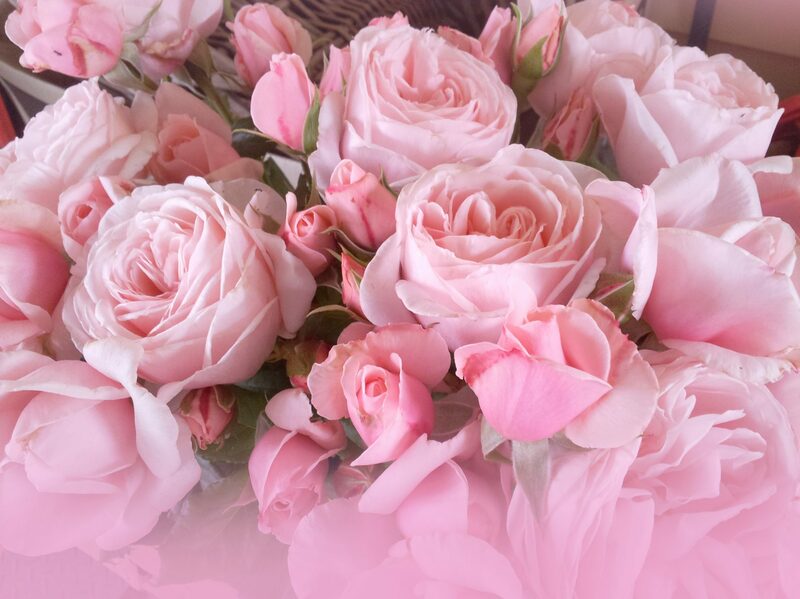 Take time to smell the roses during this amazing rose season and if you get a moment, please send a HAPPY 75 TH BIRTHDAY GRAHAM which he celebrates tomorrow … thank you all for being such beautiful customers!